SCARF began from a simple act of kindness in 2003 from our co-founders, Sharyn and Kel Mackenzie. Sharyn and Kel reached out in friendship and support to one family experiencing challenges as they settled in the community. Others joined them, and in 2005, an organisation had been formed. Below is Sharyn’s story on the founding of SCARF. “My husband and I met one of the first families to arrive in Wollongong under the Federal Government’s Humanitarian Visa Program. They were a family of nine from the Sudan who had spent four years in Kakuma Refugee Camp in Kenya. Their needs were many and we began by helping them with learning English. The children had never been to school. That was in 2003. Through this family, we met other families who were arriving in Wollongong and needing more personal support than could be offered by the funded service providers. And so SCARF came into being! I advertised in the Illawarra Mercury and a handful of people became involved in befriending these newest members of our community. We decided to set up a local organisation, register it as a charity and seek broader support from the host community. Twenty people responded to a local newspaper article about the SCARF launch. 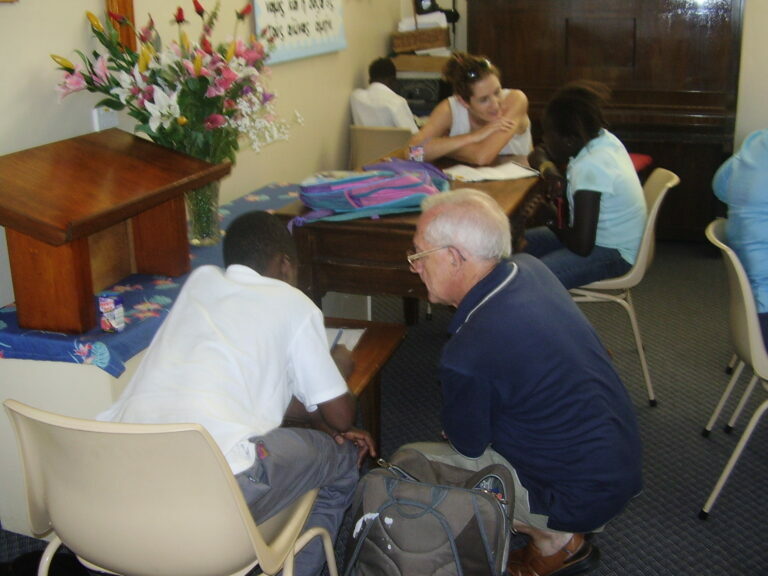 We wanted to support children with their schooling, providing home tutors and starting a Homework Centre. Back then, there were about 10 families in our region. Today SCARF has over 1700 community members registered with us, representing nearly 400 households. Most have been out of country and living in camps or other desperate conditions for at least five and in some cases, up to 20, years. Three hundred and fifty volunteers work now with the community through SCARF’s varied programs. SCARF’s many achievements since 2005 have been possible only because of our fabulous engagement with the community. We’ve done it all without any ongoing government support.